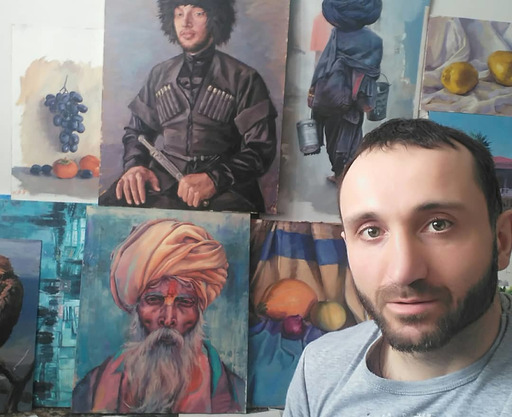 Hello, my name is Nikoloz, born in 1984 in Georgia and currently living in Russia, Novosibirsk, where I've graduated from the local art school. I am a passionate painter, portraitist and bas-relief sculptor. My works are characterized by realism and detail. I would like to present some of my works here on this site. I can also be found on FB: https://www.facebook.com/niko.kukhaleishvili. My works can be sent all over the world. Hope you will enjoy my gallery!